Not to be confused with 'Games Based Learning', Gamification is the process of introducing game-like elements into a traditionally non-gaming contexts to make them more fun and engaging. Gamification strategies include elements such as gamifying grading, incentivising students with rewards and adding competitive elements such as leaderboards. ​Edmodo is a FREE 'Social Networking' environment for students, parents and teachers. It provides a safe and easy way for your class to connect and collaborate, share content, and access homework, grades and school notices. In fact, many schools are ditching their VLE's in preference to edmodo. ​Classroom Carrots is a free tool to help teachers manage student behavior and improve engagement. ​Code Academy is a free online tool which teaches students to code. 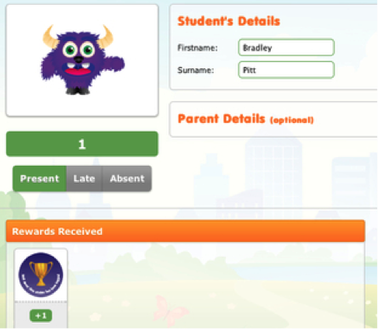 Code Academy gamifies learning by awarding badges and points for completing lessons and courses. ClassDojo also allows you to provide instant feedback to your students (‘Well done Josh! +1 for teamwork!’) and is fully customisable for your classroom. 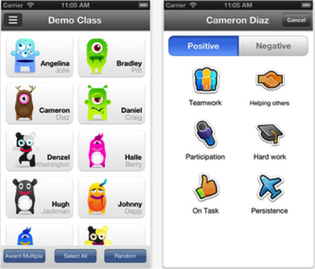 Students can track their behavior from home and Parents / Carers can also view their child's progress via the ClassDojo app via a special invitation code.